If you are dealing with Chinse companies, and you need to receive a Tax invoice, this is what you could expect. This types of Fapiao you need to get at the local Chinese tax office. After receiving the Fapiao pre-numbered paper and your digital key, you can print those Fapiao's with a special dot matrix printer that you will need to acquire. home leave travels (up to two trips a year for the employee only). You could provide the Chinese Fapiao to your employer on a monthly basis to receive these benefits. 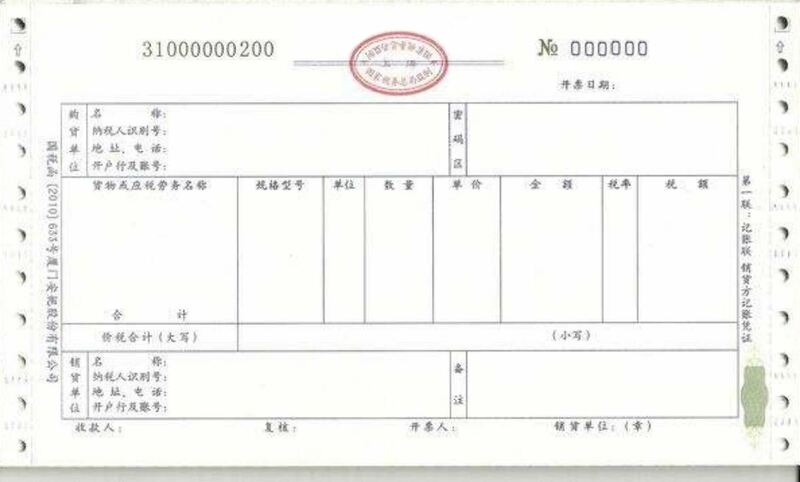 A Fapiao is a document for registering revenue generation in China. Fapioas are registered with the relevant tax authority. The tax authority audits the issuance of Fapiaos, in order to determine the appropriate amount of tax payable. Try out our online free and premium Professional templates, forms, and contracts today. Save, fill-In the blanks, print …and done! Download this free Chinese 发票 or fapiao now!